Rare though it is, when we have a little spare time we like to play around mixing and matching antiques and come up with new ways to put them together. It’s not always the obvious that go together the best. An interior that combines Louis XV with XVI, Empire with Regency, and all the above with modern is often the most interesting. Sadly we didn’t have any last minute modern to include in this shoot but we sure did have plenty of antiques. In reality, all of these antiques could have been put together in any number of ways to achieve any individual desired look. We’ve chosen to create an eclectic, slightly quirky ensemble with these images below but there’s a thousand ways to reinvent the same pieces. It just takes imagination. 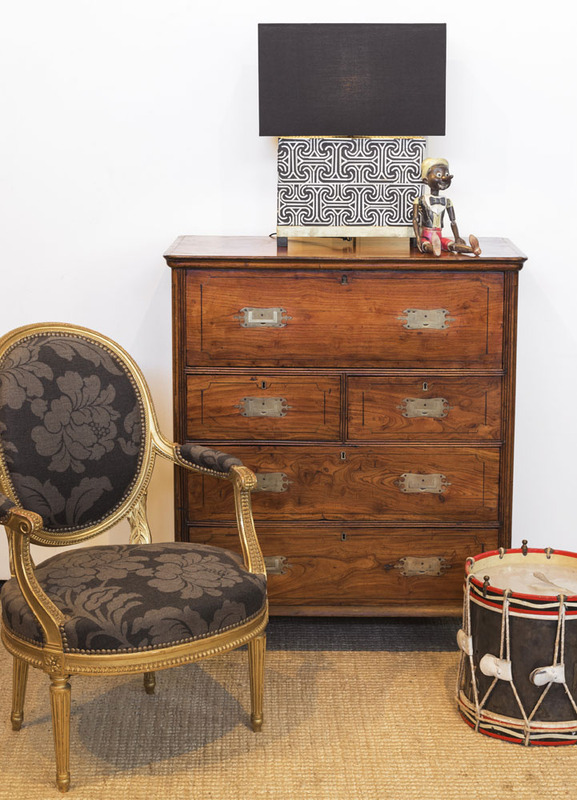 19th century military chest with modern lamp, Louis XVI gilded armchair and 19th century drum coffee table. You would never have seen a gilded salon chair with a military chest during the 19th century. Neither was synonymous with the other in either subject or style, but their colours and straight lines work together beautifully to make a more interesting composition. 2. We love old and new together. The new refreshes and the old lends soul and gravity to the new. 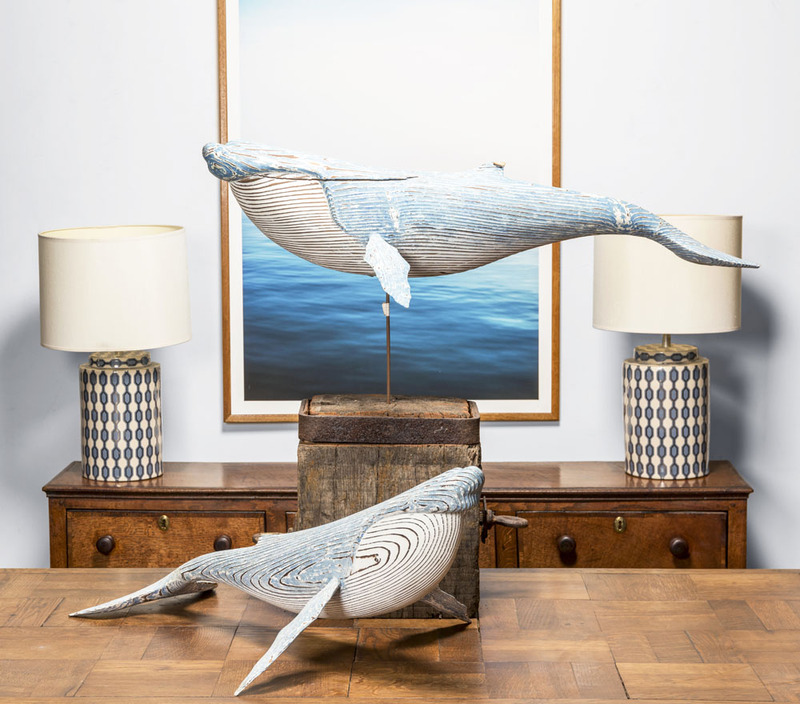 In this image below we paired a pair of contemporary sculptures with a 19th century French parquetry table and English dresser base. Instead of using the traditional dresser back on this piece, we removed it and instead hung a photograph above the dresser base to lift the space. 3. 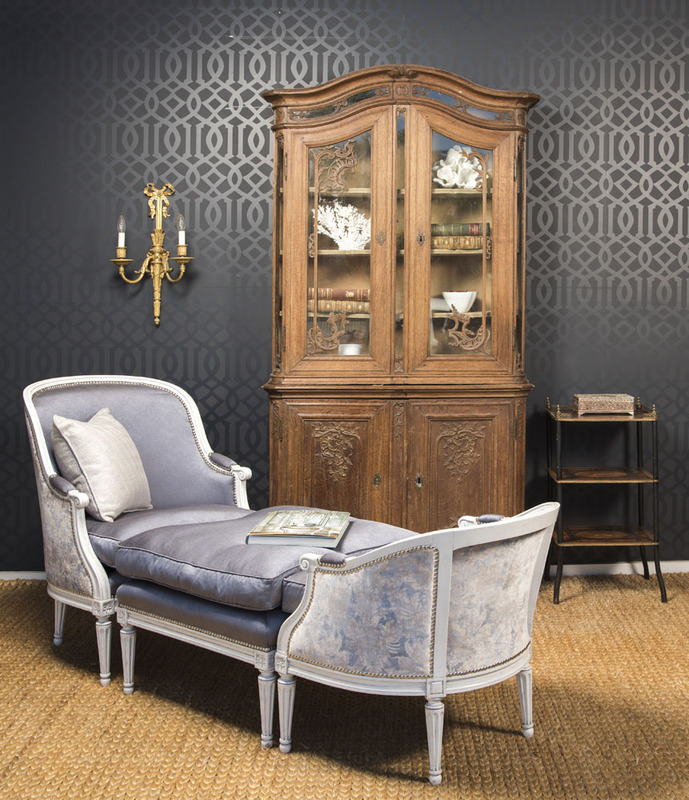 In this image we paired an 18th century French provincial oak biblioteque with a 19th century duchesse brissee, and 19th century English marquetry etagere. Any of these beautiful in a bedroom, living room or even office. This a much more glamorous and sophisticated pairing but we all agreed it would be rather appealing on a Sunday afternoon curled up with a good book and a cup of tea. 4. The below image was a late 18th century English Georgian bookcase, later decorated and paired with a modern Pinnochio, 19th century French sofa, 19th century occasional table and 20th century earthenware vase. Perfect for a relaxed country house. This combination would look equally good with a modern sofa. 5. 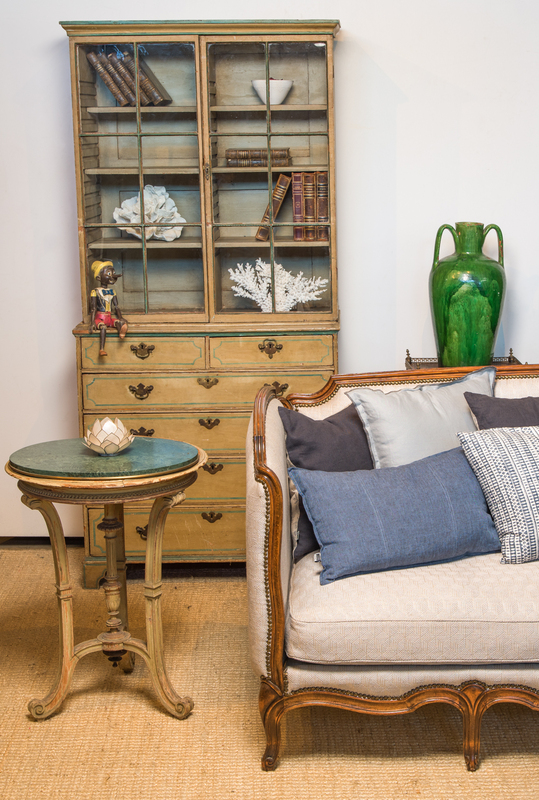 Finally this 19th century French biblioteque was teamed with a pair of exceptional 19th century carvers, and the drum coffee table. 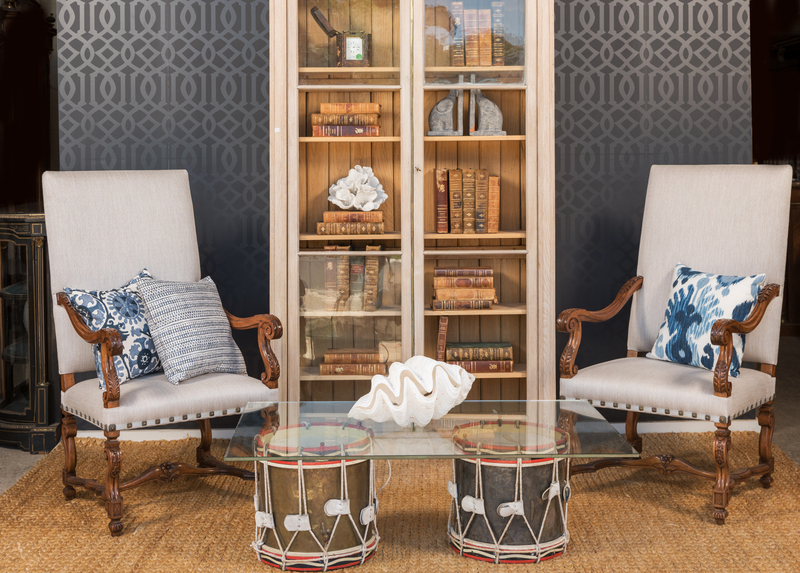 Mixing and matching antiques is fun, and works much better if you think outside the square.